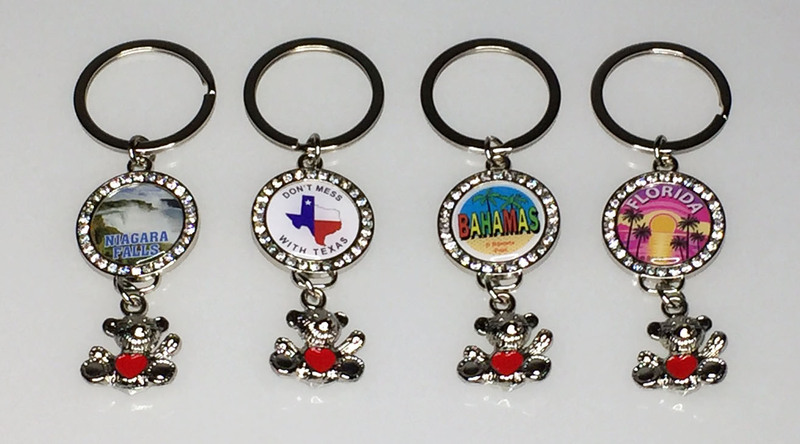 This key tag is all made from zinc alloy, is nickel plated, and the circle has 28 imitation small diamonds. The teddy bear's heart is filled with RED soft enamel. The key tag measures about 2" top to bottom and is attached to a 1.25" flat split ring. The dome imprint area is about .75" diameter.